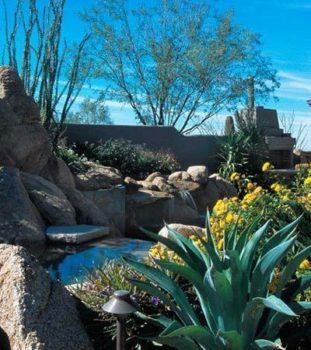 Rocks, Boulders, and Granite are an important element to a natural landscape in Scottsdale. The composition of the hardscape, such as granite, is just as critical as the composition of the plants. Dramatic effects can be created and large boulders can become impressive vertical elements within the landscape. 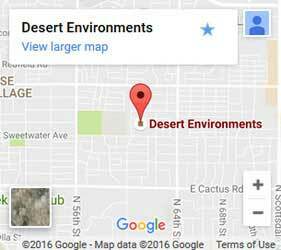 Desert Environments uses "surface select" boulders that are "cradled" and sometimes "craned" into place. Boulders are available in a selection of colors and styles. To complete your landscape, our granite comes in a variety of colors and sizes as well. 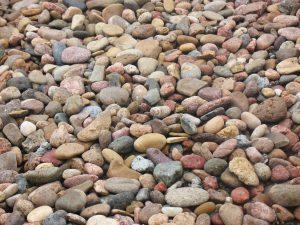 Rocks placed into Arizona landscaping offer a wonderful alternative or compliment to grass. Adding rocks lowers the amount of water you need to use in your water features, making them both a money-saving and environmental-friendly option. Our selection of color, texture, size, and shapes opens a wide range of design options. Boulders in Scottsdale can make an excellent focal point for your landscape design. They enhance the natural setting and bring a wonderful symmetry between your yard and the environment surrounding your Scottsdale home. With their timeless appeal, boulders offer a zero-maintenance way to give your yard a mature look. They can also give you a sense of a wilderness retreat when incorporated into your pool design. Granite in Scottsdale can be anything from a decorative slab or bench to decomposed granite. Decomposed granite offers a natural, permeable, and inexpensive way to increase the aesthetics of your outdoor spaces, like your outdoor kitchen. Like gravel yet finer and more stable, decomposed granite offers a durable material for pathways, boundaries, sitting areas, and much more. Granite comes in a variety of colors and can be used to enhance your yard in limitless ways. Call for rocks, boulders, and granite in Scottsdale today! If you have any questions or would like to get started by having a free consultation simply give us a call at (602) 679-8733 or fill in the form to the right to get started today!